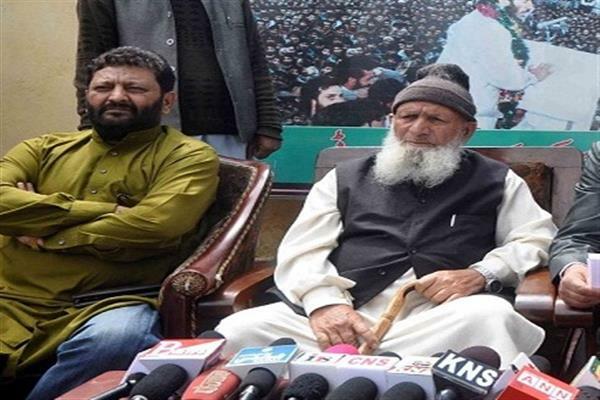 Srinagar, Sep 06 (KNS): Jammu Kashmir Democratic Freedom Party (JKDFP) has appealed Imams and other religious preachers to held special prayers for senior resistance leader and its ailing and incarcerated chief Shabir Shah during Friday congregations. Shabir Shah is seriously ill in Tihar jail Delhi where he is denied suitable medical aid despite several court directions. Shabir Shah, who is suffering from many serious ailments, is confined to solitary confinement in Tihar jail. In his appeal to all Moulanas and Kahteebs, a JKDFP Spokesperson said that Shabir Shah was arrested in July 2017 in a fake, fabricated and already resolved case, to punish him for advocating Right to Self Determination for the people of Jammu Kashmir. Shabir Shah is the name of a resistance leader who has never compromised on his just stand on Kashmir dispute so Indian and its local agents have been punishing him since decades together. Ever since his Student days, Shabir Shah has been demanding Right to Self Determination for its people. For him, this is the only possible democratic solution to the long pending Kashmir dispute. He has time and again said that rigid policies are detrimental for the people living in the whole region. So New Delhi must shun its unprincipled policy about Kashmir issue and take practical steps to resolve the same.